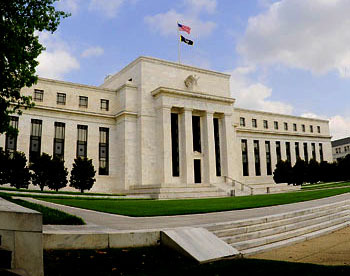 Fed presidents are chosen by regional Fed boards, and regional Fed boards are chosen via a complex arrangement that, in practice, ensures that all the seats go to local bankers and business leaders. So why do these board members tend to be so hawkish? You could argue that the fact that local banks pick the Class B directors, while the Fed’s governors pick the Class C directors, ensures that ultimately they’re representing the interests of banks, and not so much those of business — let alone those of consumers, labour, civic associations, or every other way to group citizens in order to express their many interests. That’s actually a violation of the spirit of the Fed’s charter. Class B and Class C directors are supposed to “encompass the broad economic interests of the District, including industry, agriculture, services, labor, consumers, and the nonprofit sector.” The fact that every single member of the Minneapolis Fed is either a banker or a business executive makes a travesty of that principle. The interests of consumers and workers ought to be represented in choosing regional Fed presidents. But I still think you need to have a theory as to why a group of prominent local businesspeople would be more likely to pick a regional Fed president who wants tight monetary policy than one who wants loose monetary policy. And at that point I think you start getting into the fuzzy terrain of people’s economic ideologies, which aren’t always entirely coherent. OK, I’ll offer up a simpleminded theory in two parts. First, local bankers and business folks, when you get right down to it, don’t believe in modern economics. I don’t mean that they believe in, say, Milton Friedman’s economics compared to Paul Krugman’s economics, I mean that in their hearts they basically don’t get it at all. They may have been socialized not to admit it, but I’ll bet that deep in their hearts most of them don’t quite understand why we’re not still on a gold standard. Second, in the same way that Germans are supposedly still scarred by the great hyperinflation of the 20s, I think American business leaders are still scarred by the stagflation of the 70s. And what they think they know about stagflation is that it was caused by overeducated Keynesian technocrats fiddling with the money supply and then brought to heel by the common-sense hard money policies of Paul Volcker and Ronald Reagan. And by God, they don’t want to go back to that. So they’re hawkish. Obviously I’m just engaging in armchair sociology here. But I suspect that the rarified arguments of the MIT economics department vs. the Chicago economics department simply wash over most of these guys. As far as they’re concerned, the only thing the government can do successfully is control inflation, so that’s what they’re going to do. They are not, repeat not, going to be the villains who let the inflation genie out of the bottle again, and that’s that.